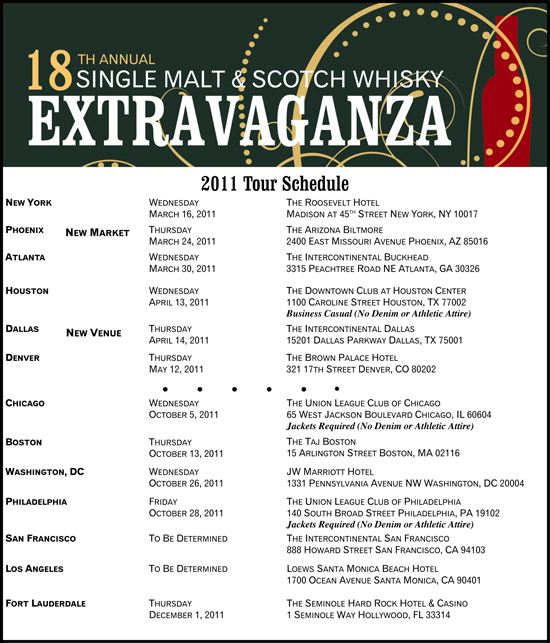 Single Malt and Scotch Whisky Extravaganza – 2011 Schedule – plus a discount for you! As you may or may not know, I am a member of the Scotch Malt Whisky Society (of America). 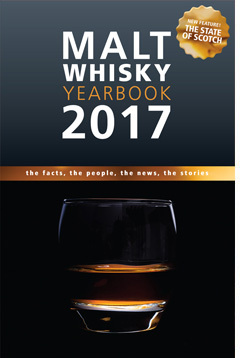 And in case you’re not aware, the SMWSA does a series of tasting events called “The Single Malt & Scotch Whisky Extravaganza“. The “Extravaganza” is now in it’s 18th year. If you’ve never been to one of their events, you may want to change that, and soon! Perhaps I can help. I’ve been working with the good folks at the society and they were kind enough to extend to me a discount code for my readers; specifically for people who are not members of the SMWSA. Tickets to one of their Extravaganzas, for members, are $120.00ea, non-members are $135.00ea. If you use the discount code JMSWS11, those of you that are currently not members can purchase your first two tickets at the member price of $120.00. Not bad! I was at the 2010 Boston event and it was fantastic. See below for a full listing of their Spring & Fall events schedule. I always jump at a chance to meet my readers so, for those wanting to come out and meet yours truly, I will be at both the New York & Boston events.